Sensational Sydney siders, just because the chillies are starting to mount on our parade...leaves falling and all that - it does not mean to imply that we can't go on the best rides at amusement parks. Even some water fun would not go astray to keep us in a great mood. 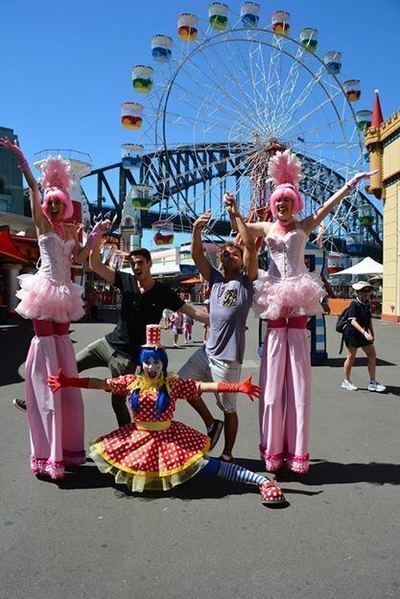 From Luna Park to the carnival at the Sydney Royal Easter Show, where is the best amusement park in Sydney? It is a pity that Sydney's Luna Park used to keep closing down and re-opening in the 80's and 90's. Today, the park is alive and well. For many of my friends, Coney Island brings them back to their childhood. The Ferris Wheel is a great way to soak in awesome Sydney Harbour. Best of all, entry is free, and Luna Park is in the perfect locale. I also love the dodgem cars! I do love Luna Park. A lot of retro fun to be had there! And so pretty lit up at night. Luna Park is lots of fun - cool rides, great location, and yep, free entry! But I here Wet 'n' Wild has given it a run for it's money... by a long shot. Best ice skating rink in Sydney? Best place to buy bathroom items in Sydney? Best colour fun run event in Sydney? What to buy mum for mothers day?